For more general information about Westville House School, please visit our Frequently Asked Questions page. 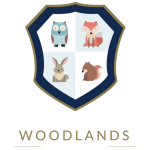 Westville firmly believes in identifying and supporting any child with additional educational needs. Our Special Educational Needs and Disabilities Coordinator (SENDCO) manages and supports children identified as having additional learning requirements. These children may then be given extra help in school to support or extend them, they may be tested within school to pinpoint the area of specific difficulty or it may be advised that screening by another professional is required. The SENDCO works in tandem with the teaching faculty to ensure that the child’s needs are understood and met during their time at Westville. Where appropriate a bespoke plan of support from additional group or individual lessons to additional assistance with study skills will be provided. For more information please contact the hub at Westville.